Conservation Districts help farms balance productive farming and healthy waterways. Certified Small Farms are required to have Nutrient Management Plans, receive 4 hours of educational credits every five years and follow the Required Agricultural Practices (RAPS). The Conservation District coordinates Stormwater Master Plans for communities and helps develop Green Stormwater Infrastructure (GSI) projects. These GSI practices are a key strategy statewide to cleaning up rivers and streams in Vermont. 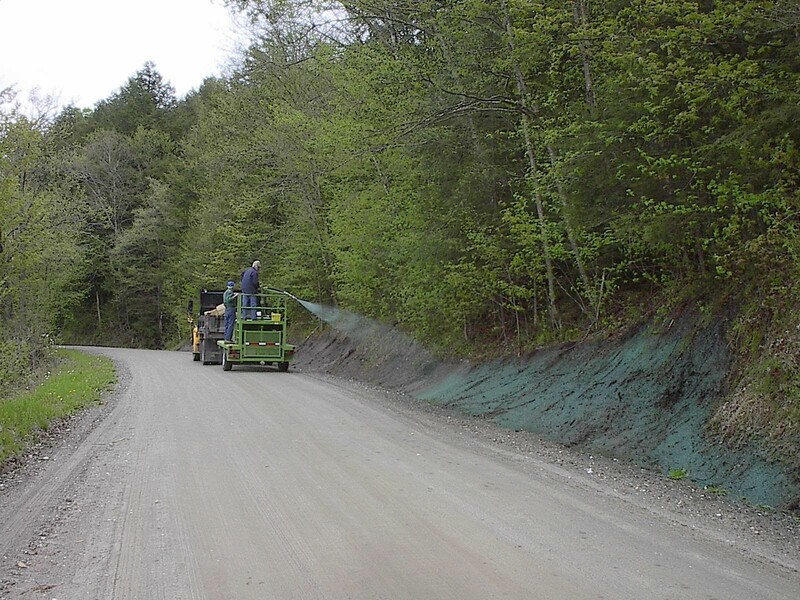 The Municipal Road General Permit was established for all towns in Vermont to reduce the amount of erosion from hydrologically connected road segments. To comply with the permit, all towns must inventory their connected road segments. Need help? Miller’s Run River (pictured) is a tributary to the Passumpsic River. The Passumpsic River Watershed is the largest watershed in Caledonia County, and the focus of much of our work. Do you want to learn more about your watershed? Keep your Nutrient Management Plan Updated! Are you a small farm in need of a Nutrient Management Plan? Are you interested in writing your own? All certified small farms are now required to prepare and follow an NMP. The Conservation District offers a program for small farms to develop your NMP. We provide all the soil testing, manure testing, maps and field data you’ll need, and enroll you in UVM Extension’s “Digging In” Nutrient Management Planning class with all your materials ready. If you’ve developed an NMP already and just need an update, we’ll help you with that too. Looking for our Plant Sale? Sorry, we’re taking another year off to regroup. If you need to order bareroot trees, shrubs, or perennials, we’d love to hear from you! We can still help with special orders and conservation projects. Email us with your inquiry! 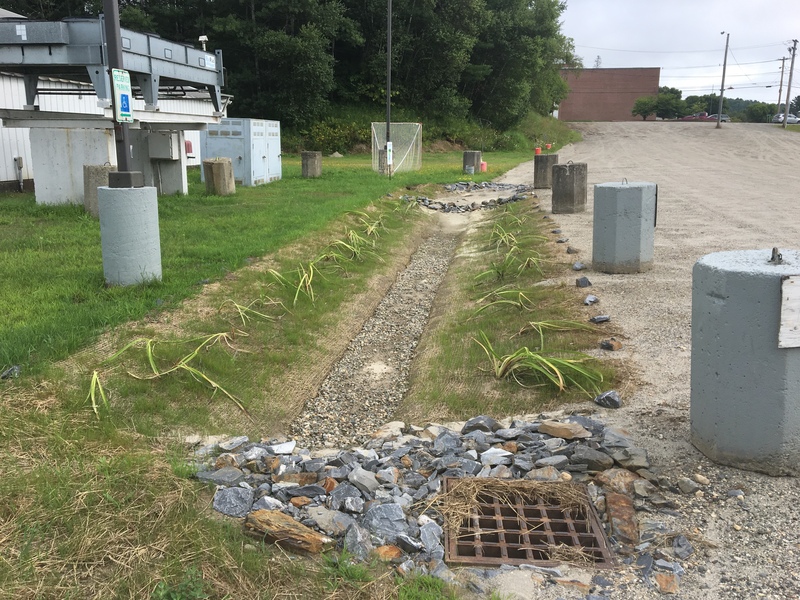 Stormwater Master Plans in Caledonia County have identified many project opportunities where stormwater can be better managed to reduce erosion and improve water quality. Installing Green Stormwater Infastructure (GSI)works to direct stormwater from roads, parking lots and other surfaces to green spaces so water can infiltrate and filter pollutants. This reduces the amount of dirty stormwater that enters catch basins and gets piped to rivers. These GSI practices are funded by the State of Vermont’s Clean Water Initiative and Ecosystem Restoration Program. Several projects are getting installed this summer in Burke, Lyndon and St. Johnsbury – with more to come next year! The towns of Danville, Ryegate, Groton and Walden have joined our Hydroseeder Share Program. The program involves four towns sharing a grant-funded hydroseeder to help treat ditches and roadsides – speeding up maintenance and ensuring good cover on bare ground to prevent sediment runoff to streams and rivers. 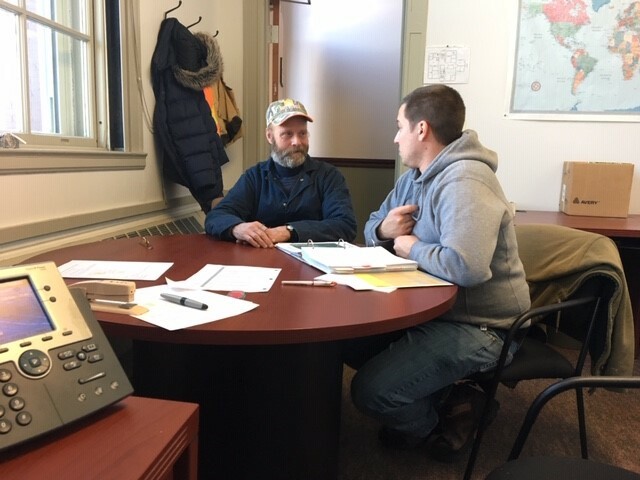 The program is funded by the State of Vermont’s Clean Water Initiative and was coordinated by a partnership with the Lamoille, Essex and Caledonia County Conservation Districts. With hydroseeders costing between $26,000 and $33,000, this program only costs towns $500 to join and $200/year after the first year.